Designers are constantly developing new uses for enclosures and kiosks that take the concept of Self Service to the next level. With the introduction of high-value retail and vending kiosks and “intelligent vending” systems, Self Service providers have identified a need for more enhanced physical security solutions that can be controlled and monitored remotely. Design engineers can help Self Service providers improve control, increase security and reduce asset loss by integrating intelligent electronic locks and latches into Self Service kiosk and enclosure designs. A few cutting edge examples of new services emerging in the world of Self Service are medical dispensing, parcel lockers and bicycles rental kiosks. Electronic locks present an excellent option for enhancing security in each of these applications. Current kiosks in healthcare settings today are primarily used for check in and payment, but have the potential to expand to prescription and drug vending as health insurance options in the US become more competitive. Electronic locking options provide the security and accountability necessary to ensure that high value pharmaceuticals and confidential patient information are protected. Pick-Up Drop-Off parcel lockers, or PUDOs, are typically owned by a parcel distribution service or retailer and allow users to pick up their packages in one place, from a secure location. Electronic locks can be installed within the panels of these individual “lockers” and set to release once the customer has entered their unique access code into the PUDO interface. 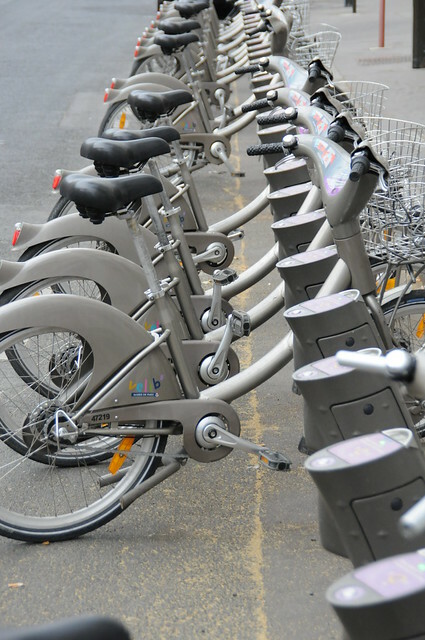 On bicycle rental kiosks, electronic locks can be used to lock each bike securely in place when not in use, and allow easy release when activated by the payment system or user interface. Electronic locks used for this specific application must be constructed of heavy duty materials, with a corrosion resistant body and electrical components sealed against the elements. To learn more about how electronic locks and latches can enhance security in Self Service applications, download our Special Report on Maximizing Security in Kiosk Design.